3,600 Indonesians, 1,787 Australians, and 641 British prisoners died at, or between, Sandakan and Ranau. 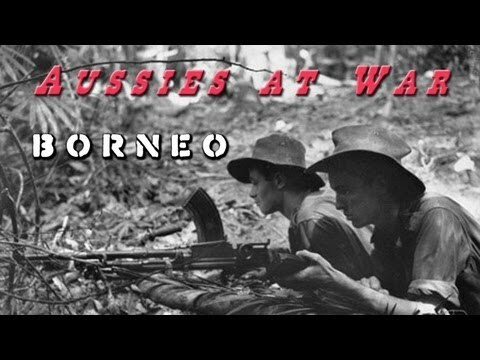 The Australian 9th Division, Rats of Tobruk, were heavily involved in reconstructing British North Borneo and rebuilt and re-established a considerable amount of civil infrastructure. The division developed a warm relationship with the local people and its efforts were recognised by the incorporation of the division's colour patch in the coat of arms of the new Colony of British Borneo. These arms were used until British Borneo became the Malaysian state of Sabah in 1963.